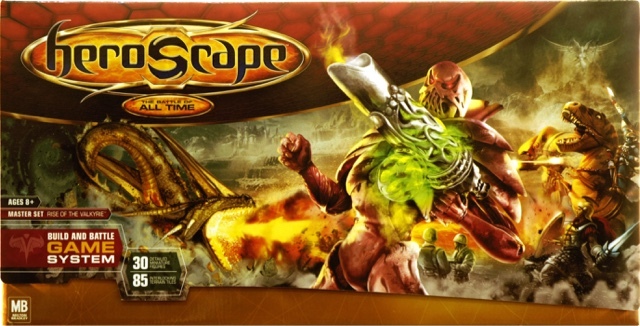 Following on from my last post I have managed to acquire another set of the figures from Heroscape as well as a complete copy of the game courtesy of EBay. Aside from the terrain tiles it means that the figure selection now consists of three sets which will be enough for me to be going on with. Dragon Rampant - the fantsy version of Lion Rampant - should be out in December so if I get a move on I should be ahead of the curve for a change with some models ready to go. The first lot I will be tackling will be the Viking types which are suitably heroic looking and ideal for a fantasy type set up. There are also some Samurai types - more like well dressed Ronin to be honest that look pretty good and should be useful. The rest of the models are mainly sci-fi types (excepting the dragon of course) which is not a problem as I will have a use for them as well. The great thing about skirmish level games is of course the fact that you do not need a huge number of figures and so are a good option for me at the present especially as even a DBA army presents a real challenge in terms of time to prepare. The terrain tiles I am especially pleased with as I have a number of plans for these. You may recall that I have a large selection of these that have been flocked and painted courtesy of Bob Cordery which I have used for a couple of games. The plan is to use the additional tiles for a desert type set up (Bob's old set is in grass green) in due course and I may well be tacking this as my Christmas project. My firm shuts down from Christmas Eve until the New Year so tackling terrain will make a pleasant change from eating, drinking and watching endless repeats on the TV! The blue tiles are also very welcome as I now have sufficient to make a 13 by 9 hex playing area - the standard Command and Colours battlefield - ideally suited to smaller scale ship models. This will enable me to revisit my 1/1200th Ancient galleys in due course and the often mentioned Salamis type project. Robots, Vikings, Samurai, US Paratroopers, dinosaur riding Orcs, Men in Black and even a Dragon - what's not to like? I am still struggling with an excess of lethargy in respect of anything gaming related. Work is just so demanding at present that by the time I get home I have precious little energy for anything other than dinner, a bath and some 'vegetable television' before going to bed. My hobby time at the weekend is generally limited due to domestic duties to around a couple of hours so it is little wonder that at present not a lot is getting done. I have caught up on some reading though and the all-important planning continues but I am finding myself making and discarding these with alarming regularity. It is a personal conumdrum to be sure. On Sunday last SWMBO, my daughter and I did a swift tour of not one but three boot sales. I should point out that given the time of year the outdoor boot sales in our area are generally beginning to wind down as the weather becomes cold, wet and unpleasant. This usually means the pickings are a little on the slim side. However, I was able to score a fairly significant purchase which has given me a whole world of ideas to mess around with. Heroscape - yes, that Heroscape, the one with the hexed terrain. I picked up a complete set of Heroscape for a fiver and was immediately struck with a number of ideas. Aside from the terrain tiles (especially the sand and blue coloured types) the game contains some thirty 28mm sized figures for use with the system that are ready painted and made from a curious rubbery material - similar to that used for some of the ships in Axis and Allies: War at Sea. The figures are a very random selection of types including Vikings, Samurai, Men in Black, Robots, WW2 American paratroopers, a Dragon and a dinosaur riding Orc. Oh, and some swamp dwelling humanoids called Marro. They are not bad and are usable as is BUT - I reckon that even I could make a better job of the painting. So I gave this some further thought and an idea formed in what passes for grey matter in the old brainbox. It would be easy enough to cobble together some motley skirmish sized forces by the simple expedient of acquiring a few other sets of figures. These could be combined into just about anything from HOTTs to Lion Rampant (more specifically the forthcoming fantasy version: Dragon Rampant) - certainly enough for my immediate needs. If I am honest though, it is all about painting some figures at a small scale to see how I get on. I am rather excited at the prospect of tackling these models and will be sure to take before and after pictures. Does exactly what it says on the cover - and with a lot of the details that we gamers like! Following on from my last post I suppose it was inevitable that some further investment in the period would be needed - esoecially in respect of reading material. The above title has been crtically acclaimed as being one of the best books on the subject and although you can currently get a copy from the Works in paperback I really wanted to get a hardback version. Luckily a quick trawl through EBay came to the rescue and I was able to pick up a copy in very good condition very cheaply - and what a title it is! Not only do we have the background as to why Henry wanted to a strong navy but also how the ships and tactics evolved. Ultimately the stimulus he provided in matters naval saw it full fruition during the reign of Elizabeth and the on-going war against Spain. 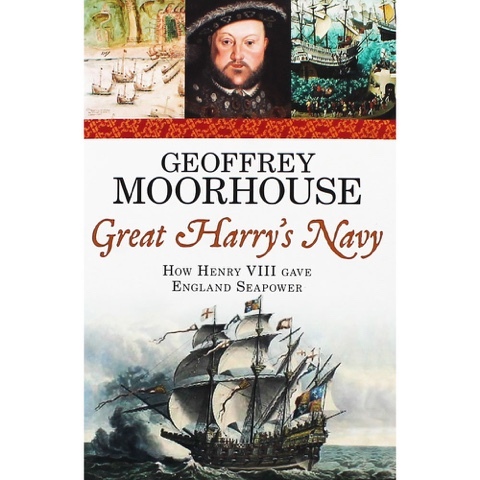 There are a couple of Osprey titles covering warships in the Tudor era and these are currently on order. My library of Tudor naval history is now a little more 'joined up' and so has given me not only some inspiration from a gaming perspective but also from the historical interest angle. Greenmantle by John Buchan is a further title in the adventures of Richard Hannay and I downloaded a version as a free ebook onto my IPad and was really pleased I did. Aside from The 39 Steps I have not read of his other titles but this one was hard to resist. Russians, charging Cossacks, Turks, Germans and a Femme Fatale all striving to get the Muslim world on a huge Jihad to aid the German war effort - what's not to like? I really should make an effort to study the Russian war against the Turks in the Caucasus - particularly as the climatic battle in the book takes place in the environs of Deve Boyun - in which I fought a Russo Turkish War of 1877 battle using the block armies a couple of years ago for my end of year game. Clearly this was an area that saw a lot of military activity over the centuries! Well here is something I never expected to be doing. SWMBO, my daughter Holly (back for the weekend from Uni) and I went to Basildon this morning for some odd bits of shopping and aside from a disappointing visit to the Works - no luck with the vehicles everyone has been raving about - we also popped into Home Bargains. I like to think of this cahin of shops as being the Waitrose of pound shops and we never seem to come out of there without having spent upwards of £50 - trust me this takes some doing! I should perhaps mention that my plastic storage boxes used for the block armies are from here - the size I use costs £2.49 which is pretty good when you consider that Hobbycraft, a couple of doors along, sells the same thing for nearly £8. It is a good shop for browsing in and with all kinds of odds and ends. 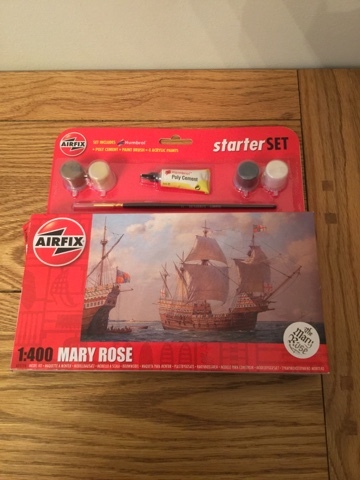 So I have landed myself with a kit to build and some research to be done - possibly a couple of books may need to be acquired as well. That is the stuff that wargames armies and navies are built of! I suspect that most readers of this blog are familiar with the German V1 and V2 rockets used towards the end of WW2. In addition to these two weapons the Germans also had a bewildering array of designs and prototypes for a huge variety of advanced weaponry and equipment - from infantry weapons to AFVs and submarines to aircraft. As I recall Revell produced a range of 1/72nd scale plastic kits of a number of the aircraft designs and Pegasus some of the vehicles. Many of these designs the Germans came up with never made it beyond the drawing board but they do provide a huge amount of potential from a 'what if' perspective. Unsurprisingly a number of games and rules have been produced that capture the essence of the potential post 1945 technology developed by the Germans and the game you see above is one of them. 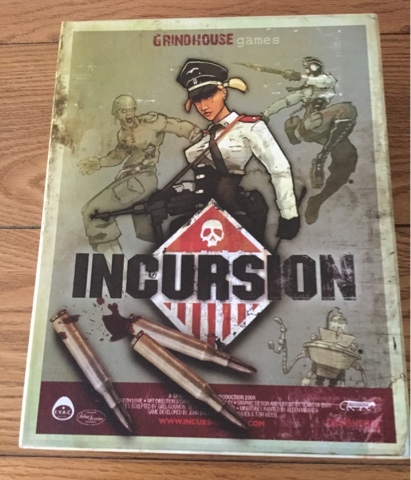 Incursion take the premise that Franco and the Germans captured Gibraltar and the Third Reich used the existing underground passges for a number of scientific experiments. The complex was also greatly expanded to include U-boat pens and all manner of technological marvels. The Allies using power armoured infantry have to assault the complex and deactivate a doomsday device protected by some of the results of German chemical experiments - meaning Zombie types - Sturmzombies and Bomberzombies, together with Blitzhounds. All of these types are the result of a chemical administered to them called V-4. Now I realise this all takes the whole Nazi secret weapon thing to a whole new level (or should that be depth as the action takes place underground) but it makes for a fun game in a Space Hulk kind of way. Interestingly the weaponry used is pretty standard WW2 kit so it would be too difficult to substitute ordinary WW2 types. One could carry out games similar to that in Hour of Glory or using films such as Operation Crossbow, The Heroes of Telemark or Where Eagles Dare as inspiration. I should point out that the miniatures that are available for this game are really nice but are a little on the expensive side for my taste. I picked up a copy of this game in pristine and unpunched condition at the same boot sale I mentioned in my previous post and if I am honest I purchased it solely to sell on EBay. Having looked at it more closely though I may well do something with it - if only the WW2 stuff mentioned. Gotta love some wooden ships and iron men! I am a great fan of the author Tom Pocock and have several of his titles in my collection. The book you see above is the latest and was acquired at a local boot sale for the princely sum of 50p. 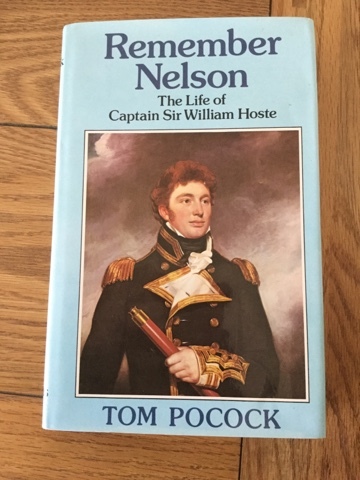 Captain Sir William Hoste was in command of the Royal Navy frigate squadron at the battle of Lissa in 1811 and 'Remember Nelson' was the signal he ordered to be run at the onset of the action. Hoste was very familiar with the Adriatic and the operations therein would make for ideal gaming material due to the scale involved - none of the fleet actions so beloved of wind and water naval gamers, this was real low level stuff - raids, cutting out and taking on the odd fort for good measure. In fact his exploits would be very familiar to anyone that has read Hornblower. I rather like the idea of gaming in this theatre in some fashion or another and would not expect to need much in the way of kit to do so. I am thinking that Peter Pig's 'Pieces of Eight' pirate rules may be a good place to start in terms of rules ideas as they allow for government forces as well as pirates and other assorted irregulars. It has been a funny few days since my last post - funny in the sense that a number of things have conspired to come together to steer my thoughts in certain directions. You may recall that I mentioned about the range of troop blocks in 1/600th produced by Peter Pig for their 'Hammerin Iron ACW naval rules. I am rather taken with these. My collection of samples from this range began with a selection provided by Mr Hudson of Steel on Sand fame and was added to by the redoutable Mr. Fox when he was clearing out his own personal Area 51. Essentially I started with two sets comprising one of each of the catalogue codes being infantry, cavalry, infantry skirmishers, artillery and command. You get 8 blocks in each pack for £3. I certainly prefer these to the Irregular types (which are 2mm) nor because they are better - and the Irregular range is huge - but simply because they are bigger. I have added to the collection and am looking forward to painting them. At this stage I have a number of ideas floating around but reckon that ACW will probably get the nod to begin with. I have also been looking at the Tumbling Dice range with its generic 20th century types and also those models available from Pico Micro Armour - mainly inspired by playing the Wars and Battles game on my IPad. The two campaigns I have been fighting are Normany 44 and the Yom Kippur War of 1973 and they are huge fun. Certainly for the £4.99 I paid for them I have had a lot of pleasure. With this game in mind I reckon there is a lot of mileage with the concept of 3mm models for me if only because I should be able to churn out some forces in fairly short order. They are in effect substitues for the wooden blocks I have been using. I am still going to get some normal sized figures organised as I will have a specific use for these - I am talking 15mm here - in time. I have also settled on what i will be getting as well - ore of which in my next post.